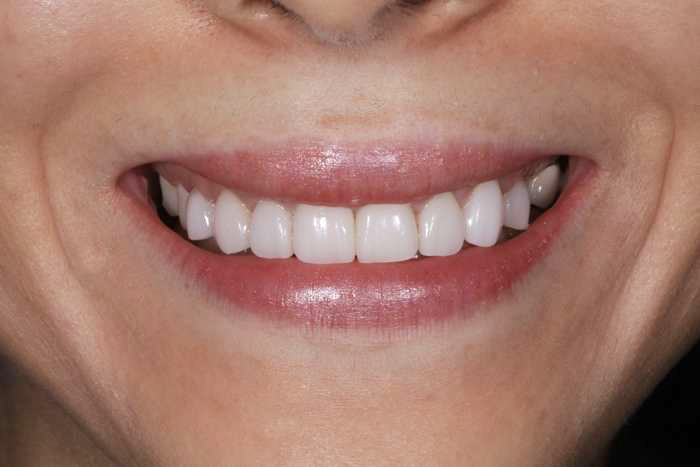 Non Surgical Lip Repositioning is innovative and minimally-invasive surgical alternative to improving a gummy smile. The effective botox treatment targets the upper lip elevator muscles to restrict movement to temporarily reposition the upper lip to cover more of the gum line, minimizing excessive gum exposure. In some cases, a gummy smile is the result of excess gum tissue which covers the natural teeth, causing them to appear shorter and child-like. In other cases the natural positioning of the lips and the movement of the lip muscle can expose the gums when talking and smiling, creating the appearance of a gummy smile. In this case, the muscle that controls the range of motion of the upper lip can be hyperactive, causing the lip to rise higher than ‘normal’ exposing the gums and creating a gummy appearance. A gummy smile can affect the aesthetics of your smile, and deter one’s confidence when smiling. A healthy and beautiful smile should display an even gum line, with minimal gum exposed. For those who experience gummy smiles caused by excessive gum tissue, aesthetic crown lengthening is one procedure used to correct a gummy smile by removing the extra tissue covering the teeth and exposing a broader smile. 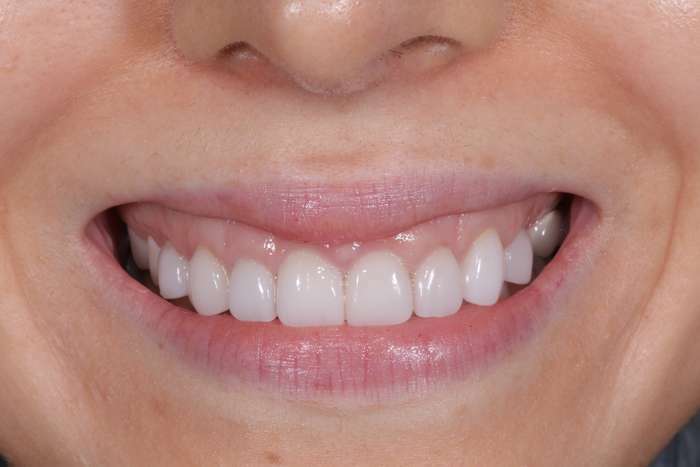 In other cases when veneers or permanent restorations are being used to improve one’s smile, functional crown lengthening can be performed to prepare the teeth. With functional crown lengthening, both the gums and underlying bone are reshaped to expose more of the natural tooth and prepare for veneers. A gummy smile can be caused by several issues, and it is imperative to schedule a consultation with a periodontist who can accurately diagnose your unique case. At the CENTER for Advanced Periodontal and Implant Therapy, the only dual-board certified practice in Brentwood, Los Angeles, Dr. Aalam and Dr. Krivitsky are experts in diagnosing and treating a range of periodontal and oral health conditions. With a comprehensive assessment of your specific needs, your trusted Brentwood periodontists will properly determine the cause of your gummy smile, and create a specialized treatment plan to restore your smile and confidence! Because there are several causes of a gummy smile, some which may indicate underlying health issues, or larger complications with the teeth, gums or jaws, it is crucial to schedule a consultation with a periodontist who can accurately diagnose your case, and create a customized treatment plan. At the CENTER for Advanced Periodontal and Implant Therapy, Dr. Aalam and Dr. Krivitsky are the only dual-board certified periodontists in the Brentwood, Los Angeles area. They are experts at diagnosing patients, and provide treatment plans that include effective, comfortable and optimal care, all while delivering life-changing results to their patients. To learn more about Dr. Aalam and Dr. Krivitsky, read their complete biographies here.